A.O. SMITH PRO-MAX | GAS HEATERS 30 – 50 GALLON | Maurro and Sons Plumbing and Heating Supply, Inc. 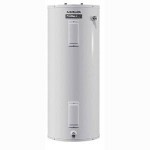 The ProMax® family of gas water heaters is the perfect blend of design and innovation. The ProMax models are engineered to help lower your energy bills and provide exceptional reliability.